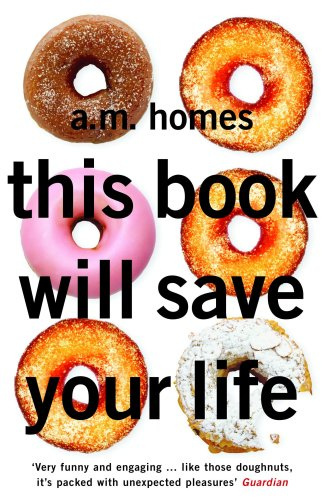 We begin the chain with This Book Will Save Your Life by A.M. Homes – I haven’t read it *sigh* but I do know that it’s an apocalyptic tale set in Los Angeles. Which brings me to California, a post-apocalyptic tale by Edan Lepucki (another book I haven’t read *heavy sigh*). 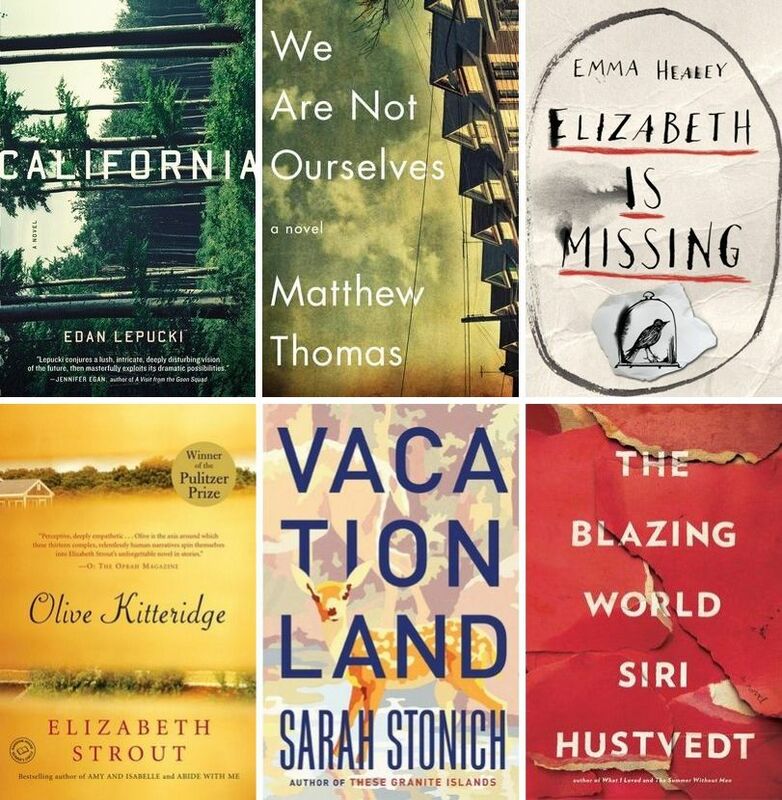 I was initially drawn to California because I loved the sideways cover – much like We Are Not Ourselves by Matthew Thomas. I haven’t read that either *this is getting depressing*. Kerri at Turn the Page Reviews told me that We Are Not Ourselves features a character with dementia. I’ve read a couple of books recently where dementia is the major theme, notably Elizabeth is Missing by Emma Healy. Now my next link is tenuous to say the least but stay with me. When I thought about what might come after Elizabeth is Missing, my first thought was Olive Kitteridge, written by Elizabeth Strout (the link being ‘Elizabeth’). Olive is at the forefront of my mind at the moment because I’m happily immersed in the mini-series. It’s wonderful stuff. Olive is told as a series of short stories, each carefully linked, as is Vactionland by Sarah Stonich. The main character in Vactionland is an artist, as is the central character in Siri Hustvedt’s The Blazing World. Why am I finishing with a book that I could not finish? Who knows. But there it is, six moves. I can only comment on Olive – being the only book in this 6 degrees that I’ve read! Olive is such a wonderful book, I can’t wait to get into the Tv show. But like everything else (including keeping up with my favourite memes) tv has taken a back seat. It’s great fun – join in! I haven’t read any of the books in your chain (and mine looked very different) but I like teh links you made. The sideways cover connection – that’s a new one. I quite enjoyed California although the ending didn’t quite sit well with me. I’ve been hearing about Olive Kitteridge but we’ve just started watching Breaking Bad so I sense there won;t be any room in my TV viewing schedule for quite some time! Haven’t watched Breaking Bad yet – it’s about to start from the beginning on Foxtel so will watch. Olive is only four episodes – watch when you get a chance, it’s brilliant. Olive is a great book club pick – I think she divides people! I enjoyed California too. There’s something about the story that just drew me in and I couldn’t put it down. It’s not perfect but well worth a read. California doesn’t fit in with my usual, preferred genres but it was a case of love-at-first-sight with the cover!